moxie made: do it for others. I have a little proposition for you. Kristen, at We are THAT Family, has done DIY posts with awesome decorating ideas for quite a while now. Well, at the beginning of the year she decided to revamp her DIY theme a little. Instead of doing my DIY projects she is going to have a Do It for Others Series. Every month she is going to post a project and she encourages other bloggers to join her. 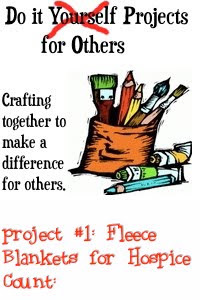 For her first project, she is asking that everyone make lap blankets for hospice. Check out her post about it to learn more information. Here's the blanket I made. It's all packed up and is shipping out this morning. You have such a precious heart! I love how you look for ways to bless others. Missed you in x-bike this morning! GREAT idea! 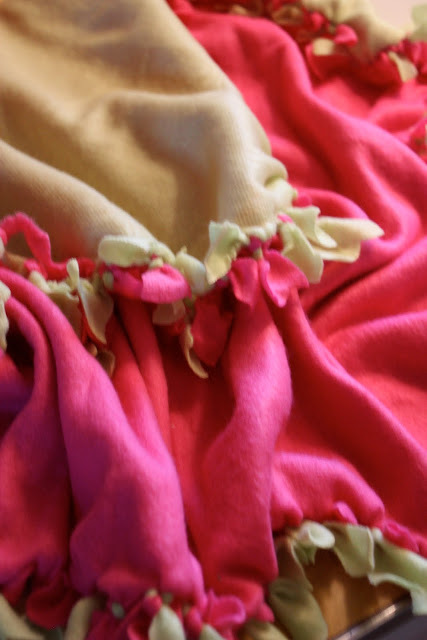 I think I'll be the one to buy a cozy blanket, I too, lack a sewing machine. But, I'm so glad you are going to try the Chicken Tortilla Soup! It is AMAZING!!! !